At the beginning of the year, I set out some goals for 2012. Arguably the wackiest of the goals was to become a backyard beekeeper. After a few months of planning, some late nights nailing hive bodies together, a good number of frantic calls to our bee lady, & more than a few moments of pure fear, I can finally report that the bees are in their new hives in my side field. I had to drive almost two hours to pick up the two nuclear colonies (beekeepers call these "nucs") that I ordered this winter. Once I paid for my bees and some miscellaneous supplies, I was back on the road with 20,000 bees safely contained in two boxes in the back of my hatchback. Let me repeat that: 20,000 bees. I had been on the road for about half an hour when I saw one stray bee buzzing around in my rearview mirror. I opened the windows and hoped it would blow out, but soon the single bee was three bees and then ten bees and then twenty or so bees. OMFG. ...and tried my best to cover it up with my scarf and some wedge heels that were in the back of my car. Having updated Jaisa on my situation, there wasn't much else to do besides call Jesse and whine for a few minutes. And then get back in the car and drive myself and my little buzzing charges home. With another hour left to go, I cranked up the AC and opened all of my windows to hopefully blow back any bees approaching me. As mentioned to Jaisa, I also improvised some face protection for the remainder of my ride. One of my best friends is getting married this weekend and I'm in the wedding party. Please bees, I begged, please don't sting me in the face. Miraculously, I made it home safely (there was a close call with a bee climbing up my ankle while I was driving 90 mph down the highway. I panicked and killed it. I know. Great way to start off the bee/human relations for our hive). I drove like a maniac through my front lawn and left my car open so the loose bees could disperse. Once the bees and I had calmed down, I moved them out to their permanent home in our side field. 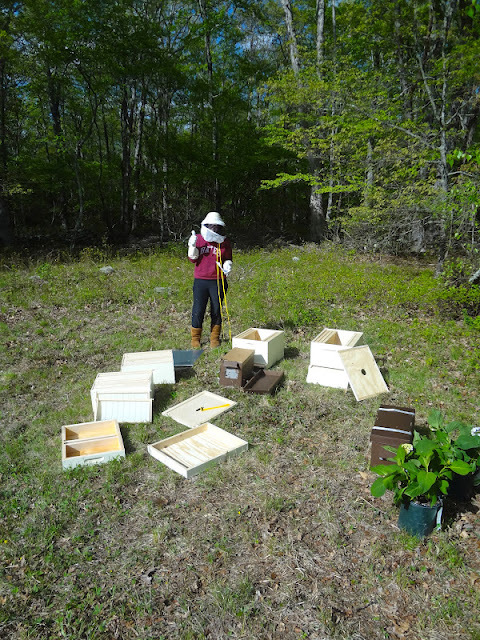 Here I am in the process of moving them, frame by frame, from the nuc boxes into their new hives. For the record, Uggs, a Bates sweatshirt, and three layers of pants aren't the recommended beekeeping suit. My sweet white jumpsuit just hadn't arrived yet. And here we are... two nucs, two hives... and only two stings. Welcome home, ladies! Stay out of my car and stay homey! oh my goodness! This is hilarious! I'm glad you're okay, and pretty excited to see how this bee keeping goes! AHHH! This story was A-Maze-Ing! I think we are two peas in a pod for I too dream of bee keeping. It's totally on my to-do list. We just got chickens this spring which was also on my list and bees are next. I'd love more posts on them cuz I love this kind of jazz. I'll be sure not to bring my 3 little kids when I pick the bees up though, LOL can you imagine this story with babies involved?! Oh how this story made me laugh. 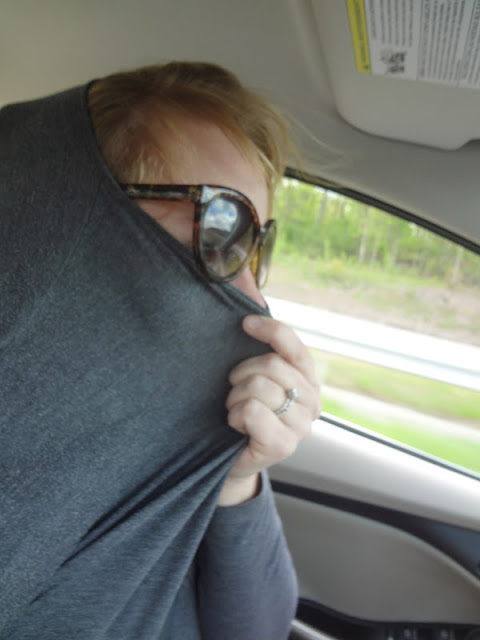 You must have looked a sight to passing drivers with your face covered and bees roaming the car. Excited to hear more about your adventures with the bees. Oh my oh my.....you have some major you know whats! I wouldn't of made it home that day.....just sayin!!! Can't wait to hear more about your little BEEventure(s)!! BEE safe....hehe!! 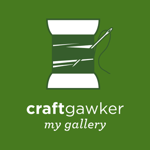 Wow, this is so cool. Well, all except the bee escapees! The story was so interestingly told too. Oh my what an adventure, I love the movie Tommy boy and I was laughing when you mentioned that scene. Not at what happened to you of course just the scene. So exciting! My honey is in his 3rd year of beekeeping and he loves it! I help out just a little as I'm allergic to many stings, never been hit by a bee, but hey, not really looking to find out. It's a fascinating and rewarding hobby to be sure!